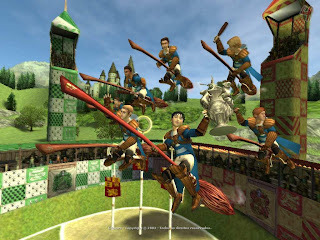 (UN)PAUSED: Post-A-Day: Quidditch Nerds, This Is Why We Have Video Games! 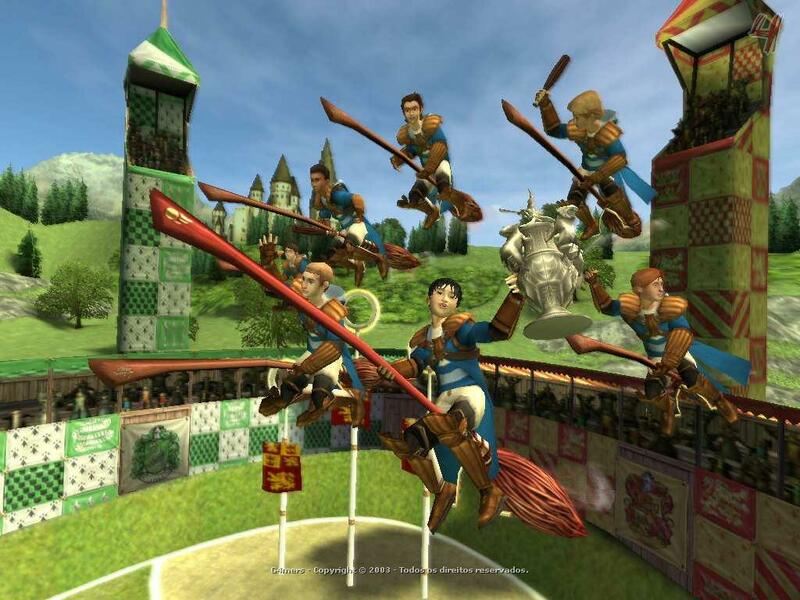 Post-A-Day: Quidditch Nerds, This Is Why We Have Video Games! How To Play Quidditch (as explained by ECQ players) from Lauren Milazzo on Vimeo. So, here's my problem with this. Quidditch, in the Harry Potter universe, is played on magical flying broomsticks high in the air, not ordinary household broomsticks you keep under your leg (that actually act more as a hindrance) on the ground. They also involve a flying little magical creature known as the "golden snitch", (the value of which I consider a bit of a game breaking element, but I digress) that's represented in the RL version by a guy in a yellow shirt with a tennis ball in a tube sock coming out of his pants. Enchanting! Now guys, I get it. I really do. I've read every book, scoured the wikipedia pages, and I'm seeing the new movie opening weekend. I'd REALLY love to play Quidditch in real life. And hey, maybe someday I will. Get the scientists of the world to install some kind of hovercraft/jetpack into a long stick, program a tiny little robot to fly around incessantly (I bet we can already do this, actually), and boom, we're one giant fake 'wizarding school' away from actually recapturing that feeling almost to a T.
This is why we have video games guys! Sure, maybe they haven't quite perfected it in any one game just yet, but even in a crappy one, it allows us to play out that fantasy without having to subject ourselves to looking like, frankly, a bunch of not-even-once-removed LARPers who went the extra (dork) mile. Pictured above: salvaged dignity. Also, an oddly long broom.